Koalas are declining rapidly across Australia and Ecosure is at the forefront of conservation helping to identify and protect the country’s most iconic native wildlife species. Ecosure has been involved in one of the most detailed koala pre-construction surveys ever conducted in Australia. In late 2013, our expertise was engaged by Roads and Maritime Services to conduct a range of pre-construction koala population surveys in relation to the proposed Woolgoolga to Ballina Pacific Highway upgrade. In August 2014, the Federal Environment Minister imposed conditions on Section 10 of the proposed upgrade to the west of Wardell in north-eastern New South Wales. Included was the need to better consider the potential impact of the proposed upgrade on the local koala population. 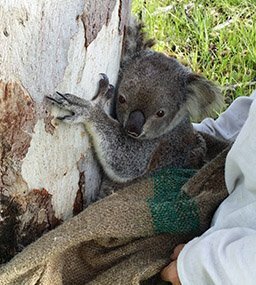 Using specialised techniques over a six month period, more than 50 koalas were safely captured, screened and released back into the trees. Key aspects of this project include constructing demographic and genetic profiles of the population, analysing historical mortality data and refining koala density/population estimates. 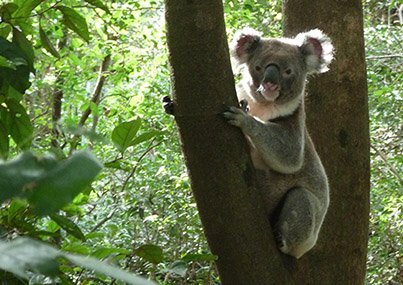 Ecosure’s experience in koala ecology and survey techniques is extensive, with several of our senior ecologists specialising in this vital area of conservation.